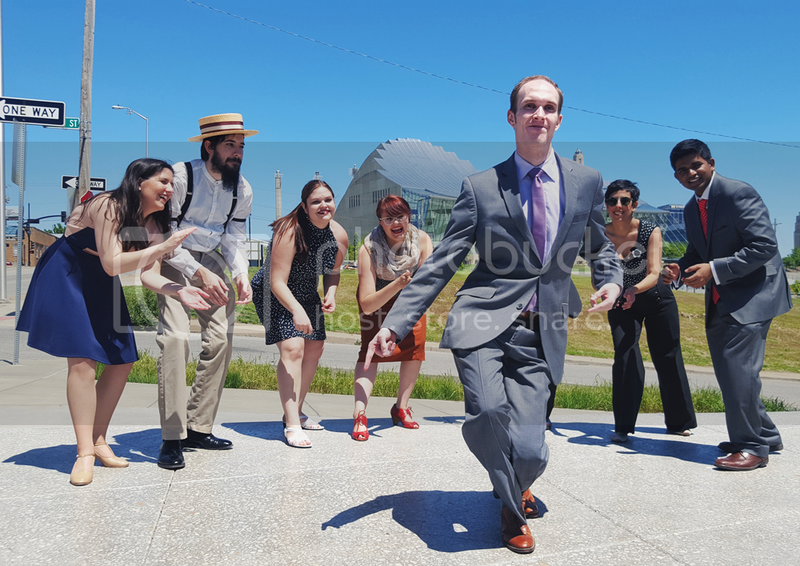 A La Mode Quartet is a versatile jazz ensemble, presenting favorite songs of the American Songbook, the Big Band era, Gypsy Jazz, bossa nova, blues and Kansas City jazz. 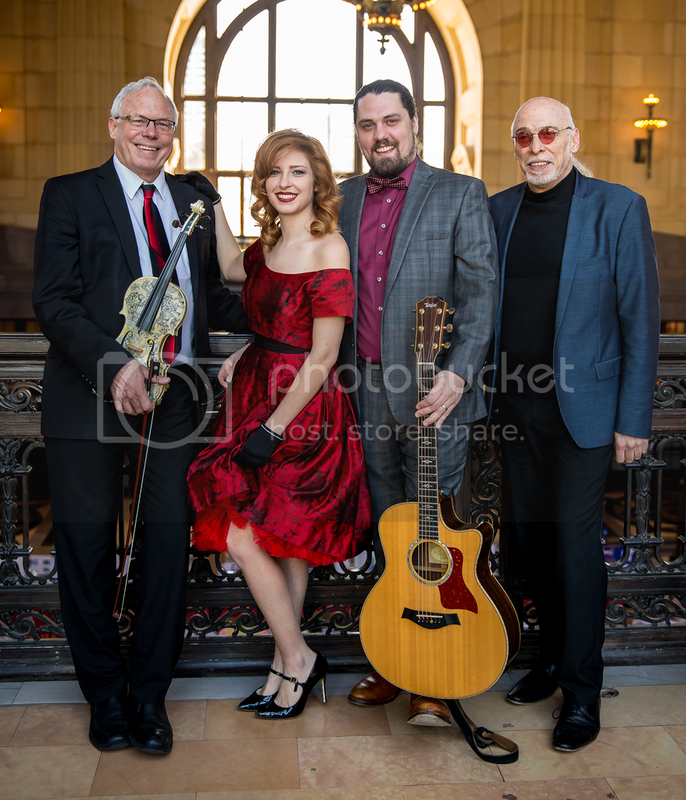 At the nucleus of the quartet are the founding members, vocalist Jesica (“Baby J”) Poell and guitarist Clayton DeLong, who brainstormed the band name and artistic direction several years ago while patronizing a local dessert shop. Jesica is an enchanting songstress, formerly an aspiring opera singer until realizing her true passion to become a renowned jazz vocalist. Clayton is a highly eclectic musician, an expert in all jazz styles as well as blues and Latin rhythms. His accomplished guitar solos are both astonishing and captivating. Jazz violinist Marvin Gruenbaum (a violist with the Kansas City Symphony for 36 years) plays in a spirited funky and bluesy fiddle style, continually offering inspired and energetic solos as well as spicy interplay with Jesica’s vocal lines. Bassist Steve Rigazzi, a well-known veteran of the Kansas City jazz community, teams up with Clayton to provide the band’s solid “backbone,” and offers playful solos and a keen sense of humor. The musical banter between the soloists and the reciprocal energy generated between the band and audience is electrifying, as a timeless flash of synchronicity with our city’s jazz heritage. For more details, visit alamodejazz.com. 627 Stomp is a growing organization indebted to the rich history of Kansas City jazz culture. Named for the Pete Johnson hit — itself an homage to the venerated Local 627 Musicians’ Union — it strives to create a sustainable community of dancers, musicians, historians and regular citizens alike in pursuit of preservation, education and sharing of this unique heritage. Currently the group specializes in spreading accessibility and awareness of vernacular jazz dancing through teaching and social dance events! Hot Brass is an energetic and multi-talented group of musicians performing Billboard and popular music hits, new and old. 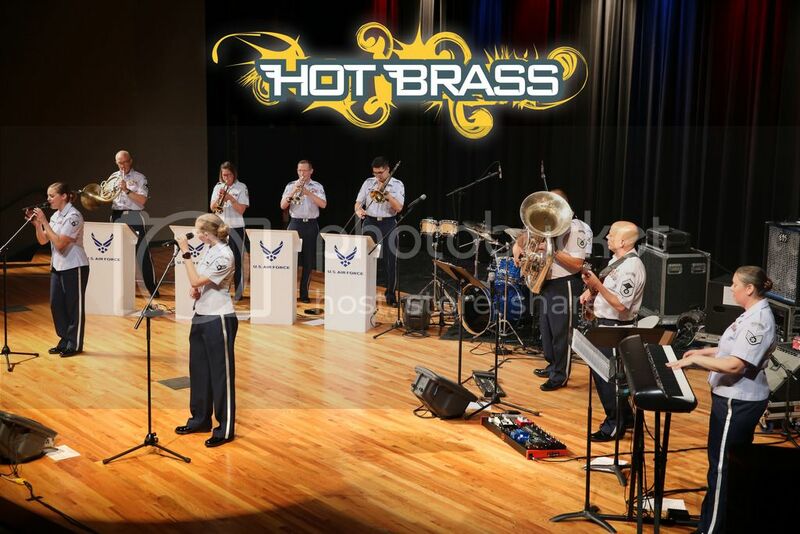 Part of the United States Air Force Band of Mid-America, Hot Brass engages audiences throughout the Midwest with contemporary music tailored to meet the desires of a wide range of listeners. Thriving on diversity, Hot Brass features each musician’s unique talents in a musical gumbo of genres. This 10-piece group uses vocals, drums and guitar to entice audiences to move their feet through a powerful delivery of popular music, emphasizing horns and brass. However, when the performing environment demands different styles or mobility, Hot Brass easily breaks down into a small pop combo and a brass quintet. The ensemble’s distinctive blend of music also includes patriotic selections for special occasions. Hot Brass serves as musical ambassadors for the Air Force in free civic outreach concerts to people of all ages throughout Arkansas, Illinois, Indiana, Iowa, Kentucky, Michigan, Minnesota, Missouri, Tennessee and Wisconsin. Fun and energizing performances by this versatile, high-powered ensemble are always in high demand. Whether supporting community relations concerts, fairs, public school concerts and clinics, recruiting or special military engagements, Hot Brass represents the pride and professionalism found throughout the United States Air Force every day. Proudly singing out in Kansas City since 1986, Heartland Men’s Chorus provides excellence in performance while advancing men’s choral music, building community and reaching out to diverse audiences. The members of HMC have joined together for the purpose of making music as a not-for-profit volunteer chorus of gay and gay-sensitive people who are making a positive cultural contribution to the entire community. The Chorus regularly performs with more than 150 singers, and presents a three-concert season at the historic Folly Theater. During the 2014-2015 season, more than 6,500 audience members experienced the music and message of HMC. An even greater number of people hear the Chorus at community outreach events throughout the year. HMC performs a varied repertoire of music, including jazz, Broadway, popular and classical works. In recent years, the Chorus has become known for its musical documentary format that uses music, narration and a variety of media to illustrate social issues. The Chorus has performed nationally and internationally, but places particular importance on performing in smaller communities throughout the Heartland where our voices most desperately need to be heard. Heartland Men’s Chorus is a proud member of GALA Choruses, the international association of the lesbian and gay choral movement. Founded in 1982, GALA Choruses represents 190 choruses, their 10,000 singers and 750,000 patrons in Australia, Europe, South America and North America. For the 2018 Bank of America Celebration at the Station pre-show performance, the Chorus will perform a special work commemorating WWI. Learn more at wetheunknown.org/big-camp-sing. For more information about the 16th annual Bank of America Celebration at the Station, visit the main page or the official Facebook event page.